The gas grill wok stainless steel is a full 12×12 inches wide and. 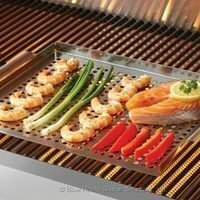 The slanted 2.5 inch deep sides help keep your food on the bottom to absorb all the great grilled flavor. 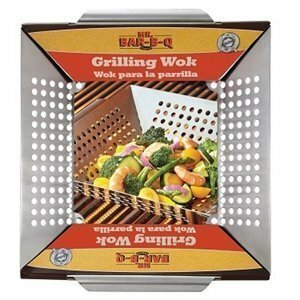 Both the sides and bottom of this gas grill wok are perforated allowing you to get a little char on your stir fry. 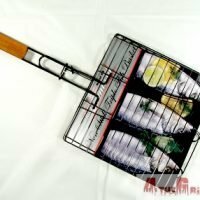 The handel’s on both sides makes tossing your veggies easier. 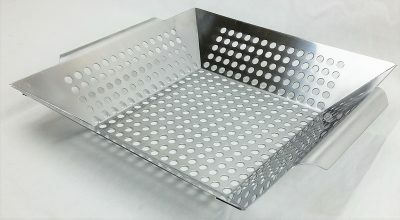 Unlike a bowl to turn most things in your gas grill wok you just push it up the sides and let it fall to the bottom and repeat. 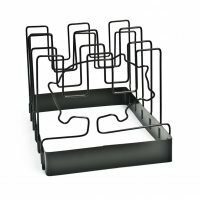 Great for grilling shrimp, small vegetables or peppers and onions basically anything small that may fall through your grates. When cooking with your gas grill wok you can either place it on the grill while it heats up, so it is good and hot when you toss your food in. 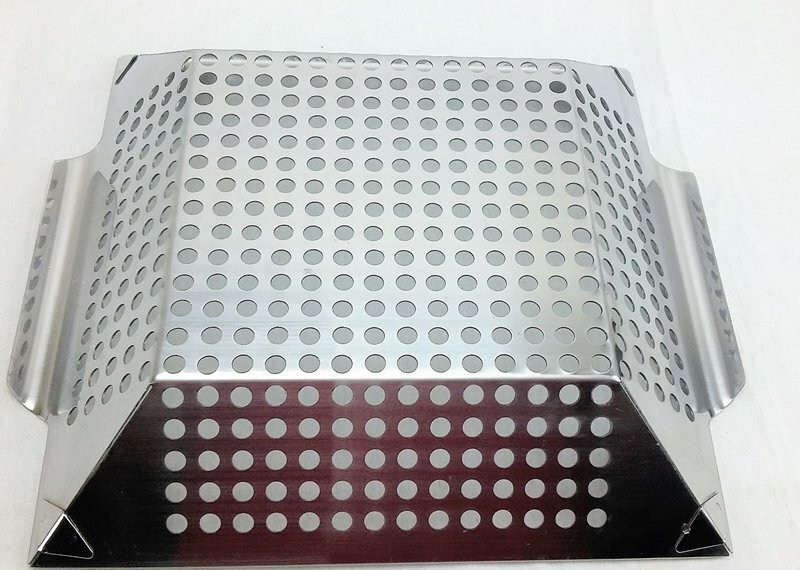 Or you can load it with your food off of the grill, this will allow you to bring your food up to temp a little slower. 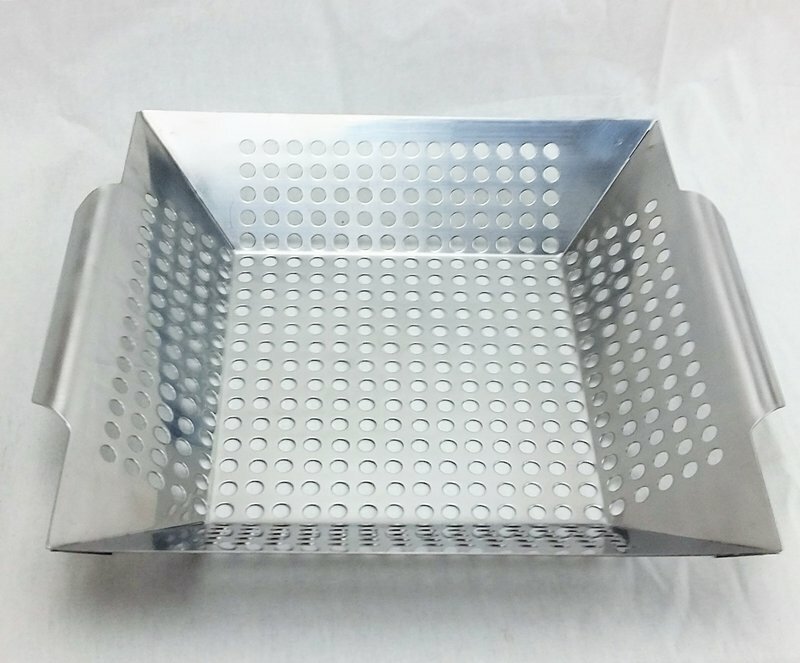 This wok is made from a high quality stainless steel it is sure to last a lifetime. 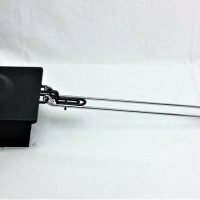 Due to the larger size of this wok we would not recommend it for a smaller grill as it will take up the majority of your grilling surface. 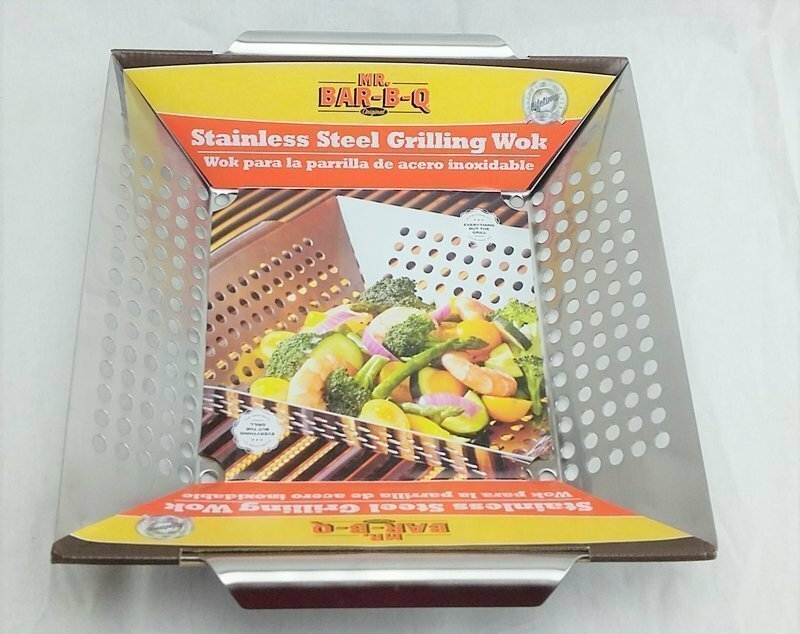 If you have a smaller grill and just want to do stir fry it would work well for you. Caution: The metal will get hot when cooking with it, always use hand protection when handling this. 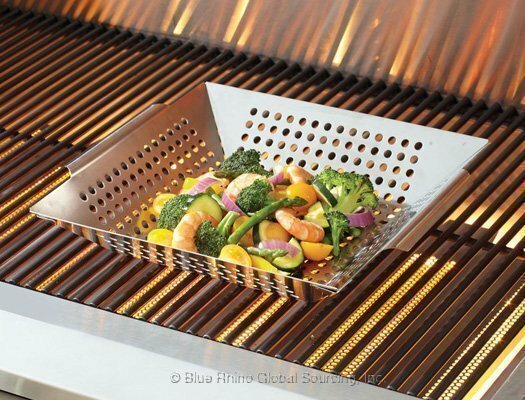 Allow your gas grill wok to cool completely before washing it. 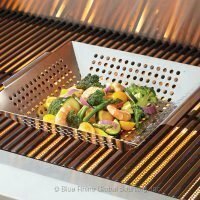 While throwing this grill topper in your dishwasher may be tempting, the harsh detergents will be hard on the shiny finish. 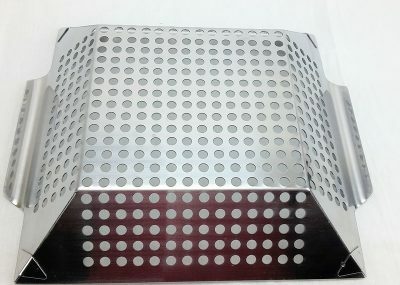 We suggest hand washing with soap and water (never use metallic scrubbers) and air drying this is to protect the finish.